Davy Tee has already forsworn it for the rest of his natural . . . Unlike Dave’s, Pepper’s Doctorate is earned! It’s Dr. Tee to you and since my degree is not fake you look very foolish. I try not to drink soda but i do not always succeed. I’m not supposed to be drinking a lot of soda with my weight-loss goals and all. But are you suggesting that this is an excuse to break that rule? a clearly racist and discriminatory advertising: why ‘post pepper’ should be better than ‘pre pepper’; why to be on on a standing position should be better than knuckle-walking? Pre-pepper, current humans find fossils of Cro magnon man, robust, healthy, good teeth. 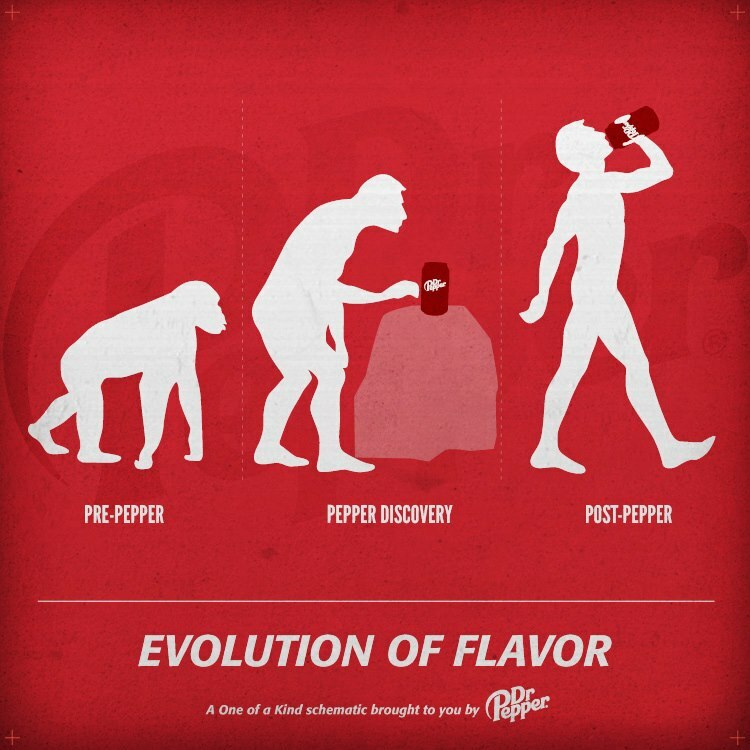 Post-pepper, 10,000 years from now, our ancestors find our fossilized remains, overweight, with rotten teeth (or no teeth). Along with multitude of pop-top can pull-tabs.